VBS runtime error, how to do? If you would like to test 32bit program in 64bit computer, vbs runtime error, like following screenshot. 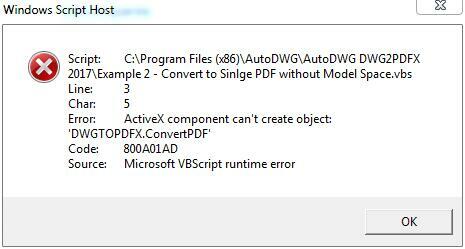 Please run the command regsvr32 to register the DWGTOPDFX.dll and DWGTOPDFX64.dll, and then run vbs example to try again.